Chipco Solutions offers innovative and cost-effective IT infrastructure Solutions to manage the entire activities of a company using the latest technology and products. We do consultancy services and implantation of hardware, software, network resources and services required for the existence, operation and management of an enterprise IT environment. It allows an organization to deliver IT infrastructure solutions and services to its employees, partners and/or customers and is usually internal to an organization and deployed within owned facilities. 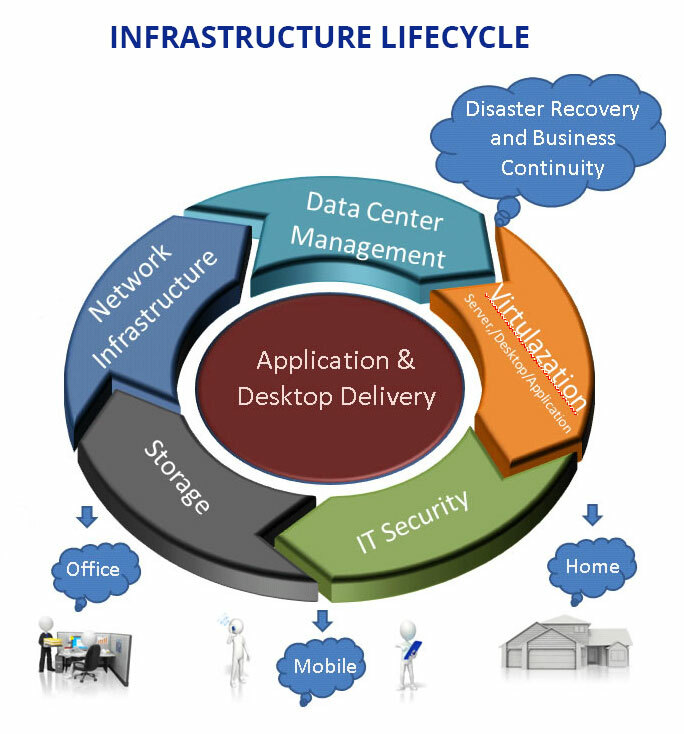 IT infrastructure consists of all components that somehow play a role in overall IT and IT-enabled operations. It can be used for internal business operations or developing customer IT infrastructure or business solutions. Hardware: Servers, computers, data centers, switches, hubs, and routers, etc. Network: Network enablement, Internet connectivity, firewall, and security. We help the companies to implement the Networking solutions and re-engineering of the existing network which will enhance the Network infrastructure of the hardware and software resources of an entire network which also enable network connectivity, communication, operations and management of an enterprise network. Network infrastructure provides the communication path and services between users, processes, applications, services and external networks/the Internet.